Imagine yourself chilling at a large roof deck bar enjoying delish drinks and live music... Well, Our Wicked Lady, new bar opening today at 153 Morgan Avenue is this close to opening one dreamy, 1,600-square-foot roof deck featuring picnic tables, great sound, a satellite bar and movie screenings. Partners Zach Glass, Wayne Gordon and Keith Hamilton have all met while managing and bartending at Brooklyn Bowl in Williamsburg four years ago. The men have now taken their skills, connections and a desire to create a place where artists could hang out to East Williamsburg. For over a year they've been working to transform a warehouse into a hybrid venue combining live music, with a bar, artist studios, music rehearsal spaces, and of course the roof deck! "It is a space that celebrates and supports New York artists and the community," Zach Glass told us. 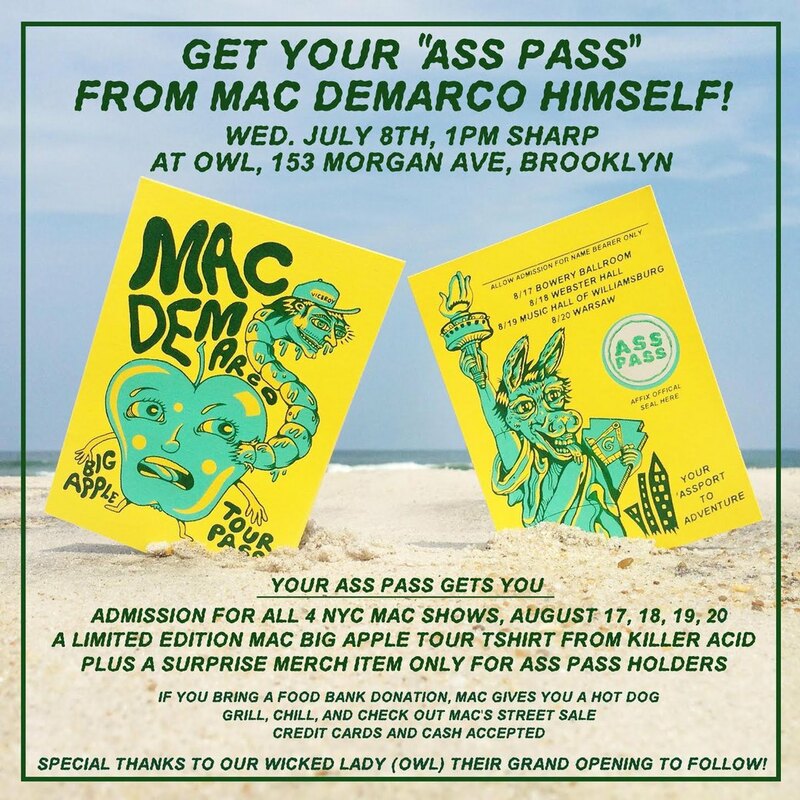 Today Mac Demarco will be hanging out in front of the venue from 1PM and selling tickets to his four upcoming sold out shows. He'll be also grilling hot dogs for those who bring a can for the food drive. The grand bar opening is slated for 7PM. Zach Glass told us that OWL--how the owners lovingly call their venue--will offer classic bar allures such as solid cocktails and craft beers, which however, will not be too crafty in order not to scare a regular drinker away. Now the only (and probably the best) component missing at OWL is the roof deck. "It's been a greater project than we anticipated," Zach explained. That's why the partners launched a Kickstarter to raise $15,000 to help them materialize the ambitious plans for the roof. They are hoping to lay aluminium decking, pedestal system, railing and a small bar with the help of your Kickstarter contribution. Their campaign ends on Thursday, and the OWL is really close to hitting their goal, so we really encourage you to contribute and help the neighbors out. In return you can claim one of their awesome rewards (such as a custom cocktail created just for you or a tattoo) and feel like you own that view! 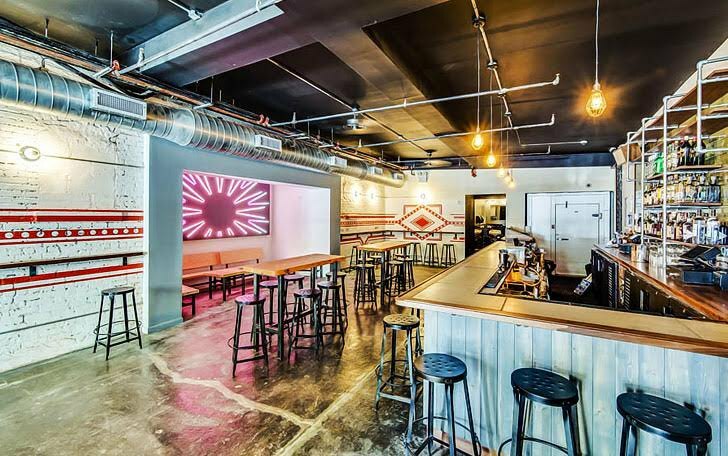 Our Wicked Lady, 153 Morgan Ave (corner Meserole St), East Williamsburg, is opening tonight, July 8, at 1PM with performances and at 7PM at the bar. Their Kickstarter can be backed here.